Ilex aquifolium is the Latin name for holly. Alfredo Cattabiani in his book "Florario" writes that the ancient Romans brought branches of holly during Saturnalia, the days before the winter solstice, as talismans against evil spells. 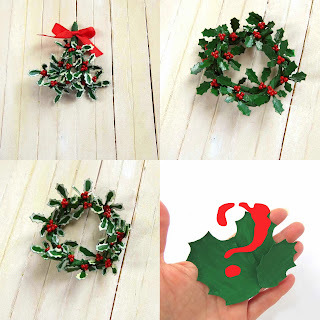 An echo of this tradition has reached us and in the present holly is a symbol of Christmas. I think it is a good omen to write again on this blog with a post dedicated to holly. During the past days I've prepared some miniatures with little paper leaves and tiny handpainted berries. 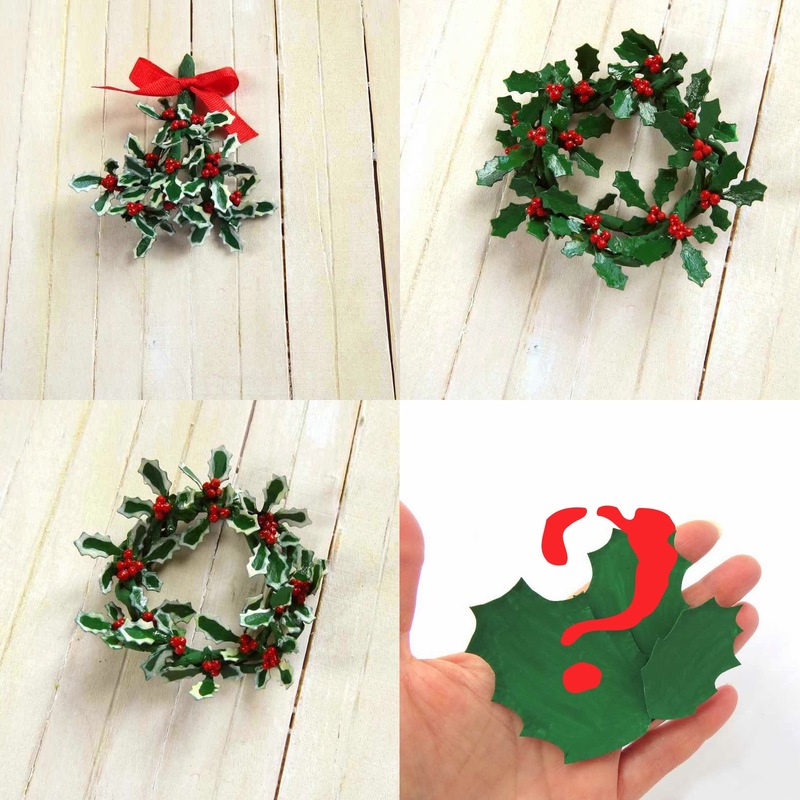 The writing NOEL is already gone in UK, the two wreaths are in my shop and the greeting bunch will follow them on tomorrow and then... what is that question mark?